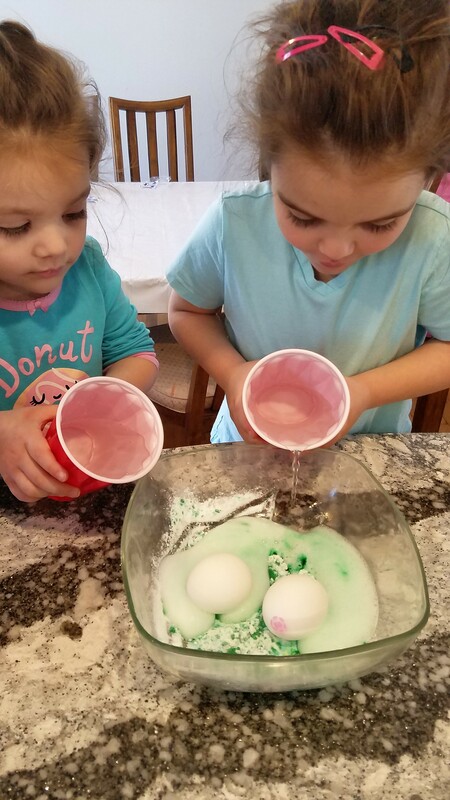 When you combine Baking Soda + Food Dye + Vinegar the egg coloring result is not only fun but, beautiful too! 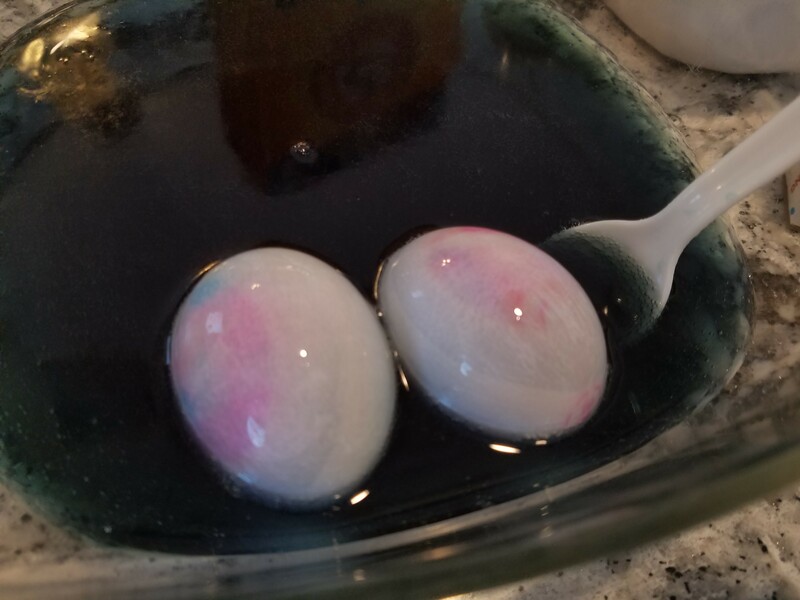 Science takes over this egg dyeing technique! 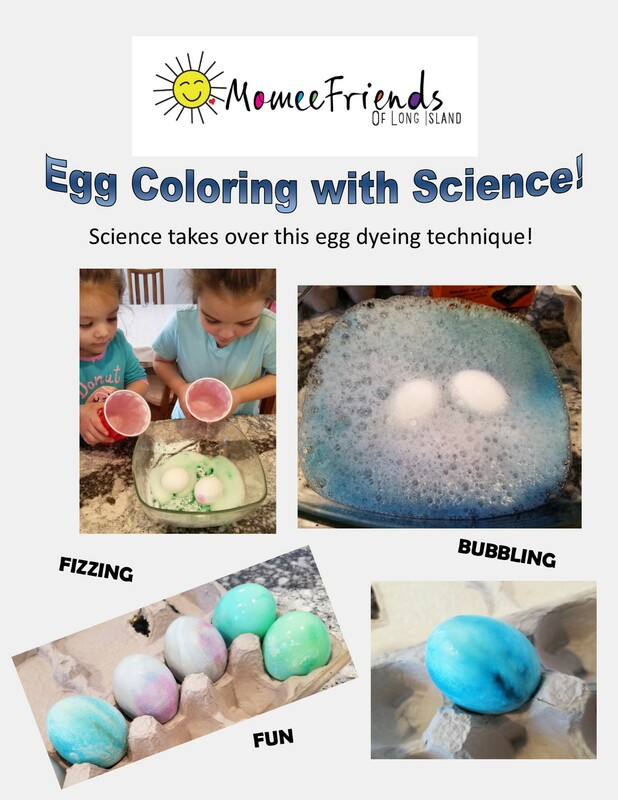 Now, this is an exciting way to dye your eggs with some BUBBLING and FIZZING Fun! 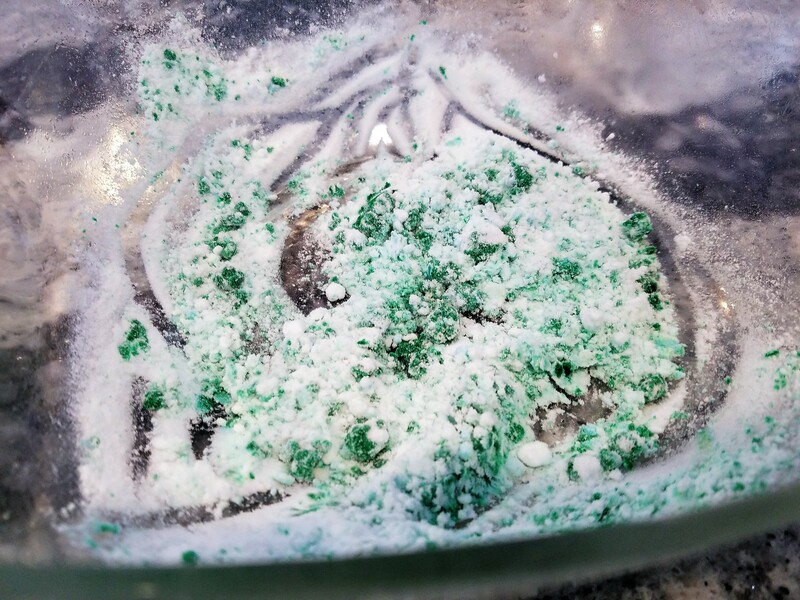 Fill the bottom of your container with baking soda and mix some food coloring into the baking soda. 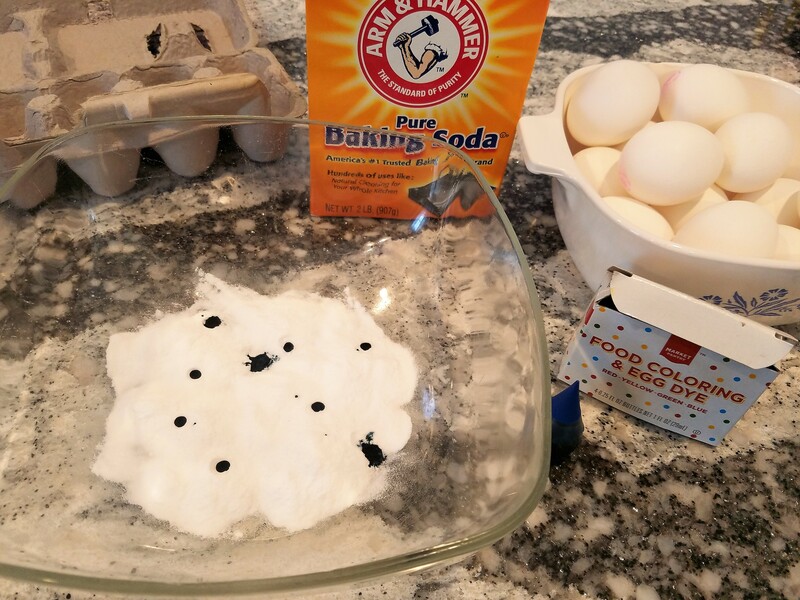 Place your hard-boiled egg gently into the bottom of the container and add vinegar SLOWLY. 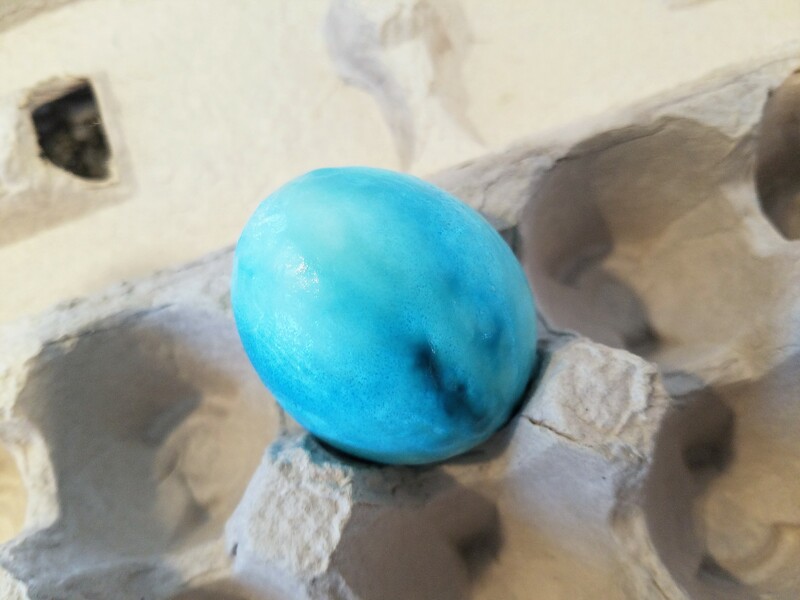 and within a minute your egg will be covered in color. 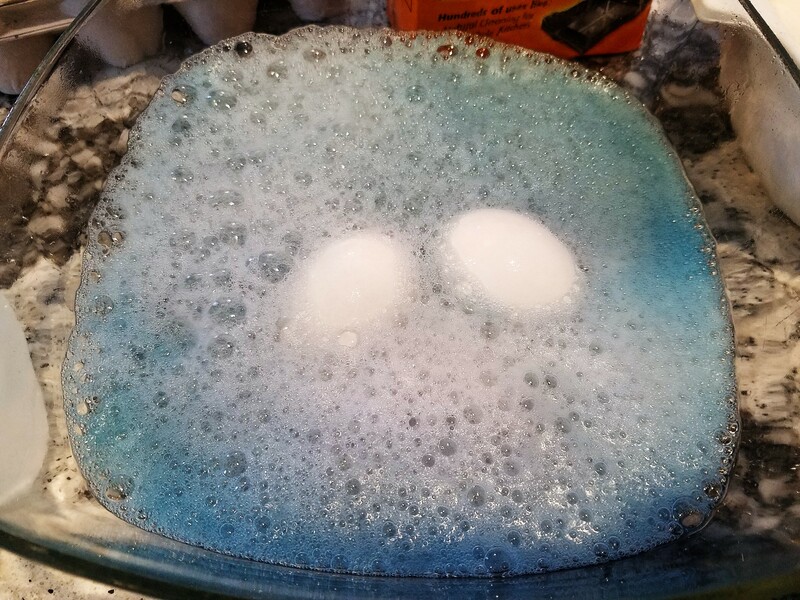 Set the egg aside in an egg carton to dry. 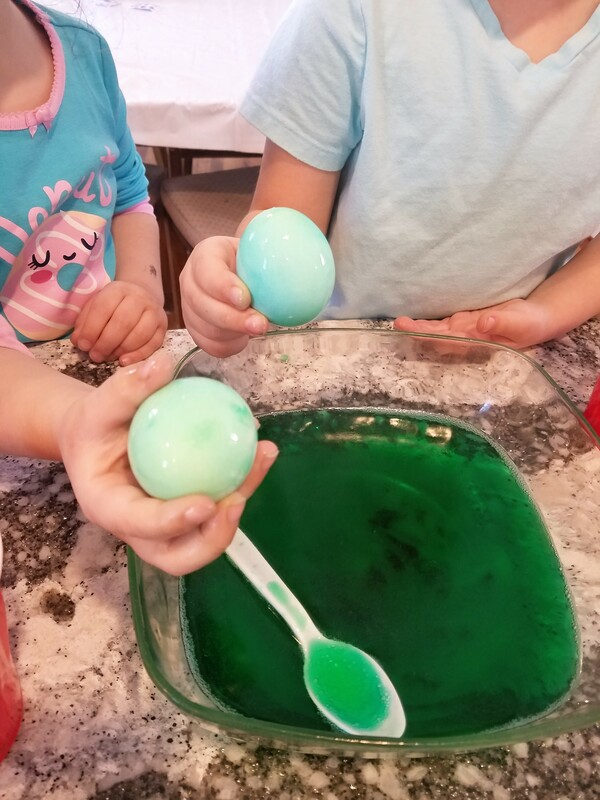 You might want to have a lot of eggs already hard boiled because your kids are going to want to do this over and over, again. 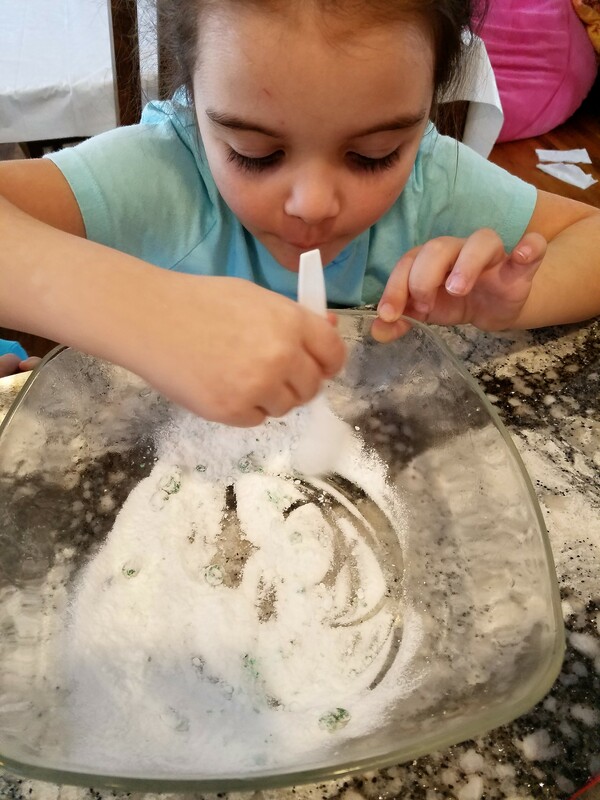 The result is different every time. 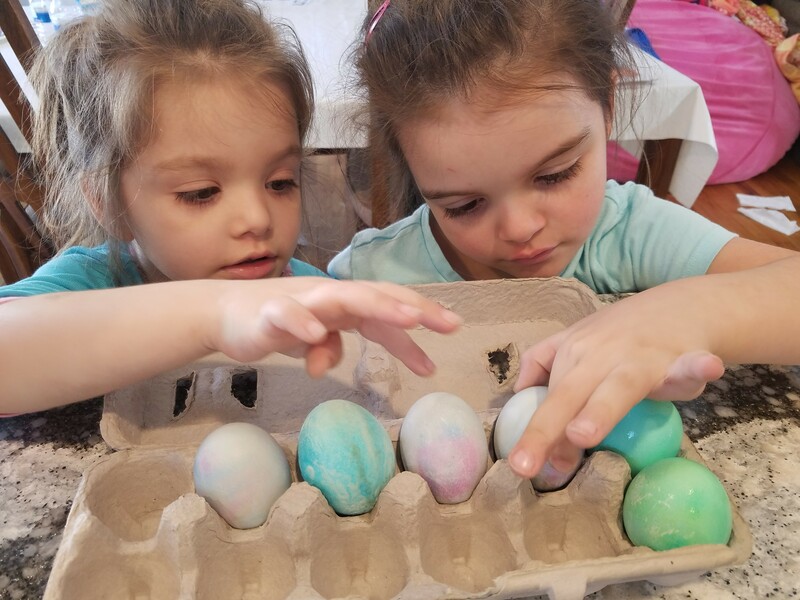 The eggs look beautiful don’t they? 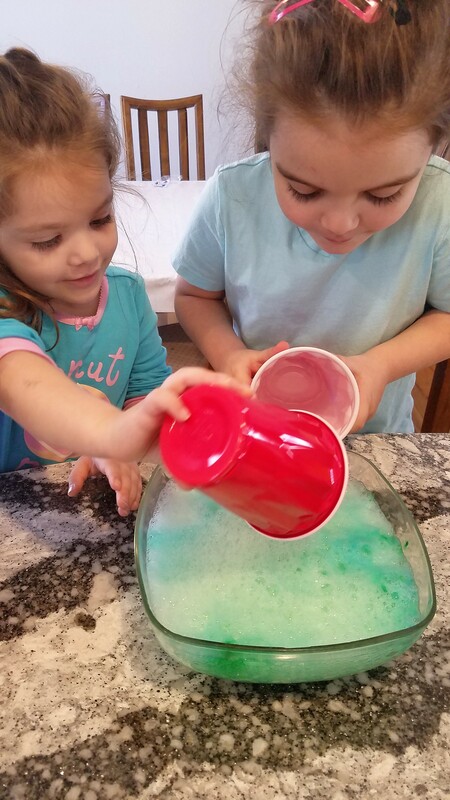 WATCH OUR VIDEO ON HOW IT WORKS…. 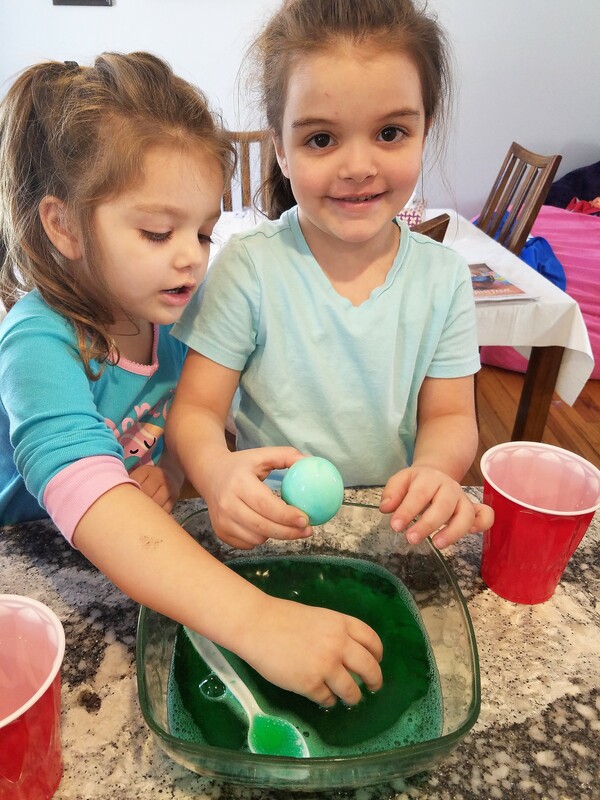 We hope you have as much fun as we did! 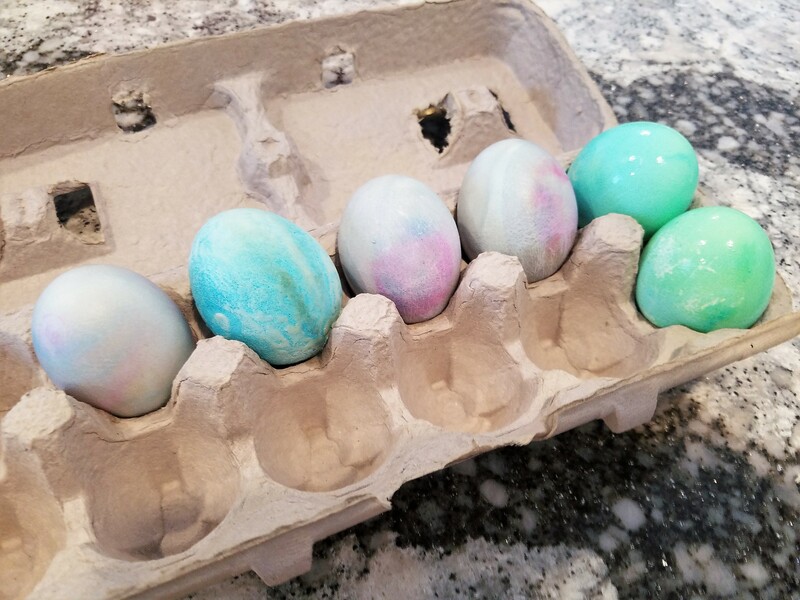 This is one of our new favorite ways to color our Easter Eggs! 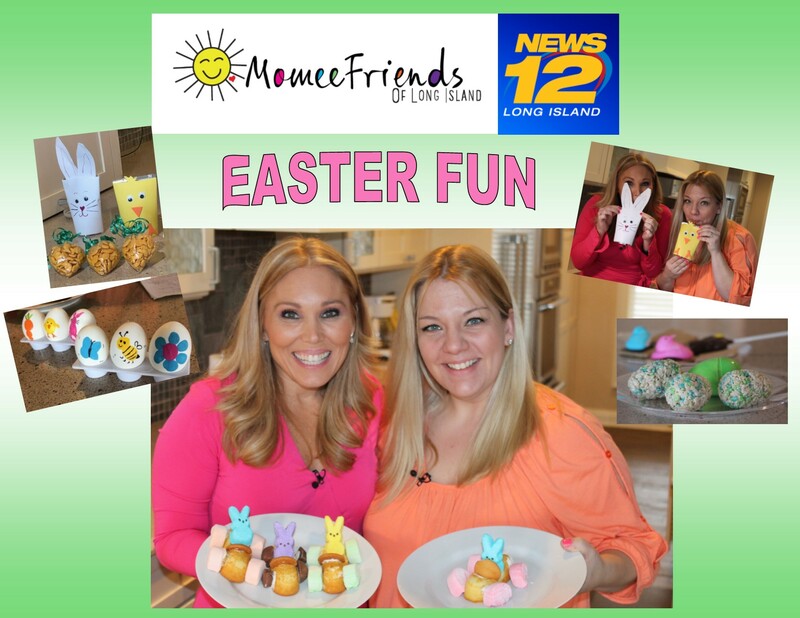 Check out the News 12 segment that features this way to dye Easter Eggs when it airs on March 23rd, 2018!